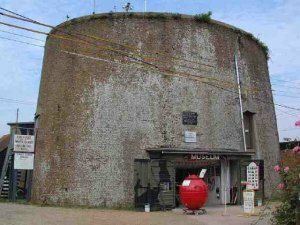 The museum display is housed in a Martello tower on the coast. 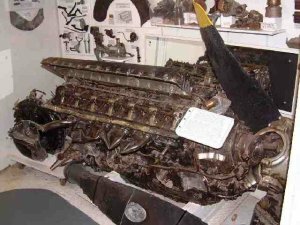 Exhibits include aviation archeology finds, memorabilia and the substantial wreckage of two wartime P-51 fighters. 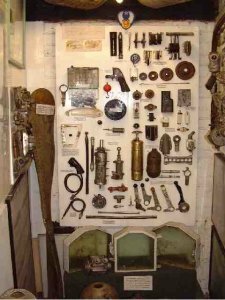 They also have several displays upstairs of uniforms, guns etc which are well worth a look. Inside Orchards Holiday Camp, Point Clear, Clacton-on-Sea, Essex. From Clacton-on-Sea, go through St. Osyth towards Point Clear. The Martello Tower is at the far end of the holiday village. Open Monday 7.00 pm to 9.00 pm and Sunday 10.00 am to 2.00 pm, April to October; also Wednesdays 10.00 am to 2.00 pm, June to September. The tower is located on a caravan site, so there are toilets, a cafe, and a pub only a few yards away. East Essex Aviation Museum, Martello Tower, Point Clear, Essex, CO16 8LJ. Website: East Essex Aviation Society. Thanks to Dan Lord for updating this page. 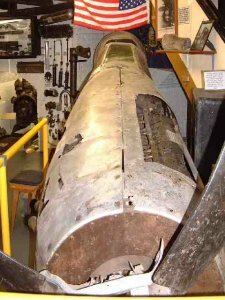 i came to visit your museum a few weeks ago and spoke to a mister Dave Bye RN, about some information regarding a sub mariner. After the 23rd of July I will have moved to Leicester. If I havent heard from him by then I will try and contct him again in a few weeks after the move. The ally may have some adhering white paint- plane or just bits of dumped old fridge?! 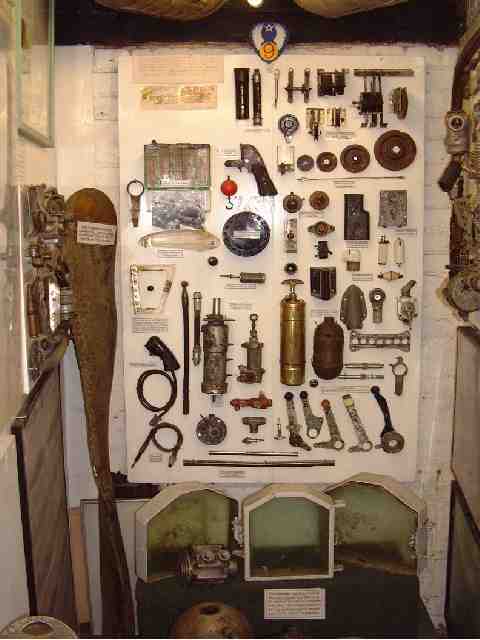 visited the museum yesterday absolutely briliant and many thanks to our guide Bill very imformative . in response to the above comment i did feel someone else was permanently with us around the museum and my friend steve who was with me said several times that he heard strange things .